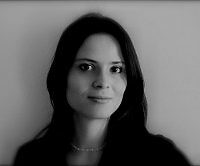 Esmerelda Colombo is a PhD candidate in European Environmental Law at the University of Bergen (Norway). It was not until the late 2000s that environmental migration and displacement stepped into climate change negotiations. Now that they have however, are the EU and UN doing enough to deal with this growing issue? In the run up to the Paris 2015 negotiations, Esmeralda Colombo explores the debate.